I had a most delightful Christmas, I am very glad to say. All the book signings leading up to Christmas went marvelously, my Christmas shopping and preparations went smoothly, and the holiday itself was wonderful. We had a white Christmas! It is my understanding that that hasn't happened in nearly a generation here. South Carolina snows, in my neck of the woods, rarely last beyond twenty-four hours, but we still have some pretty patches of snow clinging on with valiant swan-white hearts. Lovely presents were exchanged among the family, though my niece and nephew, who are both on the young side of youthful, got a bit overwhelmed with all the "Come here and open this. Go there and open that." But that's all boring stuff that no one wants to hear about from me. "Where's the writing? Where's the news on these books your post title seems so keen about? Get on with it, Jenny. Are you having us on?" All right, all right, here I get. You know how much I love talking about books. Here is what I got (or what my husband Tim got, which is more or less the same thing). 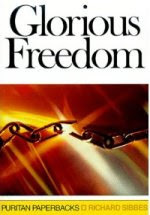 My dear friend Anna sent me a lovely Puritan Paperback copy of Richard Sibbes' Glorious Freedom. 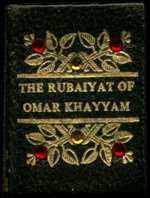 We both have fond memories of this book, though mine are by proxy at the moment since I haven't read it yet. Over the summer she spent time with her grandmother, and she would often spend the hour sitting on the porch with one of my letters and Mr Sibbes, hours of bliss and sunshine. So though this isn't the exact book, its pages are infused with the memories of letters and sunshine and maybe even whiffs of tea. She wrote as much (and more, but such things are too precious to tell to all) in the inside flap of my book so that, years from now when I have passed on and my book has not, someone will pick it up and read it and wonder "Who were these young women, and what did they mean, and what were these glimpses of heaven that they caught between the lines of each other's letters?" Such is the power of the written word. 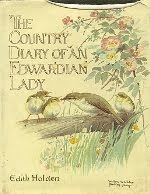 Another lovely vintage book I received was this, The Country Diary of an Edwardian Lady. It may be recalled that I have been researching British plants through the help of W. Keble Martin's The Concise British Flora in Colour. Well! Given even a passing knowledge of the expansive and wild glory of a British landscape, even the most forbidding, it is hardly surprising that a young lady such as Edith Holden could contrive to put such lovely observations and illustrations on paper. She filled this book up on observations throughout the year, jotting down what was blooming when, where, giving charming paintings to aid the words in bringing the Edwardian countryside to life. She wrote down many poems which suited the occasion, and even included many local observations on the months, such as their more ancient origin of name and various local festivities. For a girl of my interests, it was just the thing. Also, the book is elderly and smells of deliciousness. 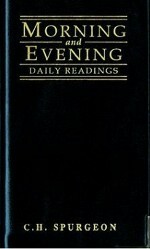 I am sure it has come up that I am reading Charles Spurgeon's Morning by Morning. For Christmas, I got a gorgeous little black leather bound copy of both Morning by Morning and Evening by Evening. I am still only reading the morning bit, because I read my Bible in the evening before bed and by the time I being my landing cycle, it's already late. I will most likely switch once I have finished the morning readings. All the same, I had been wanting Evening by Evening, and now I've got both - all the more felicitous because my copy of Morning by Morning is my mother's, not mine. I am not usually one for 'devotions', as it were, for they so easily become a sort of rite for the soul. But Spurgeon, at least, has designs to focus the wayward soul upon the Constant of Christ, so that when we rise up and when we lie down we will be fixed on him always, and keep his words in our hearts. My thanks go to my in-laws and to Mr Spurgeon himself. A lot of people are put off by the little word 'logic.' Why? Because it hurts, that's why. When we think of logic, we think of painfully intricate syllogisms and Augustine's The Immortality of the Soul and lengthy treatises on mental constructs that no one can understand. But what people often fail to realize is that logic is universal and universally applied. But it isn't universally applied correctly, and that's the problem. Anyone will have heard someone say, "You're being illogical!" and that's because we all fundamentally have an understanding of what logic is, and recognize it when it's being used incorrectly - or even not at all. But Mr Clark, thank goodness, brings the whole thing to the surface so we can look at it properly and have a conscious idea of proper logic. This is one of my husband's Christmas presents, but I wanted it just as much as he. Who knows? When I'm done reading The Hobbit aloud, we may do something unutterably boring like read aloud Logic. Welcome to the Freitag household. Because yours truly just isn't weird enough! 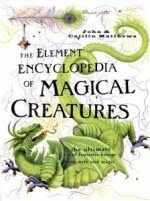 Introducing a gift from my husband, The Element Encyclopedia of Magical Creatures: just about every mythically creepy-crawly you can imagine is indexed in these pages, cross-referenced, bagged and tagged and scribbled down. I'm not sure I want to be known as the people who spent the time tracking all this down, but as a writer I am certainly indebted to the authors. Not only does the book include a cover-to-cover index on mythical creatures, the authors also put in excerpts on the more prominent instances in which these creatures cropped up in history, as well as excerpts on human interaction, or worship, or whatever. Though I doubt I will read it cover to cover myself, it will be an excellent reference book for future knowledge and future stories. Thank you, Tim! No, this is not the exact replica of the copy I possess, but it sure looks nice. I think this is probably the first bit of Eastern epic poetry I've got (I haven't even got the Epic of Gilgamesh - bad Jenny!) so this is new for me. Thankfully we covered Eastern philosophies in philosophy class, so I have at least an idea of what fundamental ideas I will be coming across. As far as the poetry itself is concerned, Edward FitzGerald did a lovely job translating. What lovely opening lines! Abigail, who gave it to me, was cheeky enough to scribble on the inside flap "To Jenny - I'm sure you can make sense of it!" Please excuse the crookidariness of this photo. Barnes and Noble doesn't understand how do to mugshots. Anyway, for long and long I've had the entire boxed set of The Chronicles of Narnia, very well used and being to come woefully apart. Now, there is something very endearing about a falling-apart book. It shows that it was loved, that it was well-read, that people really cared about its story. But after a while, like the Velveteen Rabbit, it just gets too impractical to try reading out of such torn volumes. I still have the boxed set, and I hope to always have the boxed set, but goodness knows it is a relief to have something I know won't fall to tinder in my hands. Not only that, this copy is simply gorgeous, rife with Pauline Baynes' illustrations, some of which did not make it into my boxed set. People use words incorrectly all the time. I do it, you do it; Ambrose Bierce himself assures us that he is not exempt either. But in Write it Right, he takes it upon himself to at least put forward the best foot on a correct use of English words. Appraised and checked against our changing society, the readers gets a look at his grammatical peeves as well as true grievances against the English language. This makes a great companion for Strunk and White's Elements of Style. But even if you get it wrong, don't fret. 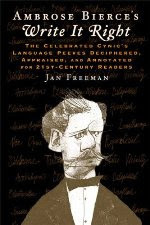 Bierce, Strunk, and White are out there to help us, and as the writer of Sheldon Comics said, English is a language carefully cobbled together by three blind dudes and a German dictionary. "History will be kind to me, for I intend to write it." This was very clever of Churchill; and really, isn't that what historians have always done? I challenge you to introduce me to a wholly unbiased historian. But Churchill, with his pointed wit, admitted to his amusing crime; and, indeed, history has been kind to him. My parents gave Tim a nice old copy of The New World for Christmas with lovely large print (I hate reading small print); it's beautifully hard-bound with Churchill's signature scrawled in gold on the front. I wonder if they had me in mind too, for this volume covers the English Civil War, an era I was most interested in when I was, oh, twelvishly-thirteen. I still am, but I try not to be quite so outwardly obsessed because then people laugh at me. So nine lovely books, all just waiting for me to read them. Unfortunately, I have several I am already reading, and several I had planned to read after I was done with those. Aaah, the list just keeps on growing! Maybe I'll ditch all and make a post later on what I'm writing. Except that my brain decided to take a sabbatical and I'm not writing anything at the moment. Bad, naughty Jenny. Scribbles! Scribbles and inkstains!